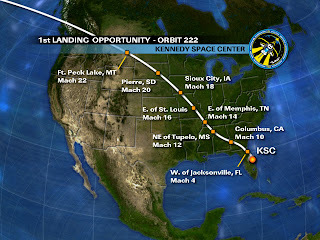 If all goes well, the Space Shuttle (Discovery) will be landing Monday morning at 7:51am CT. 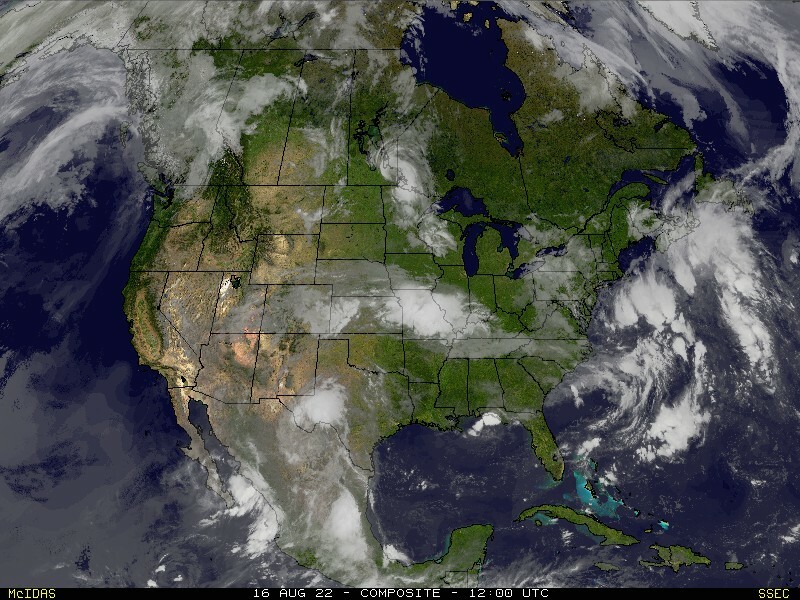 I say if all goes well because it looks like there is going to be a chance of rain in the morning for Florida. This could delay the shuttle's landing for a day or two. What is interesting about this landing is the path Discovery will take while re-entering the atmosphere. 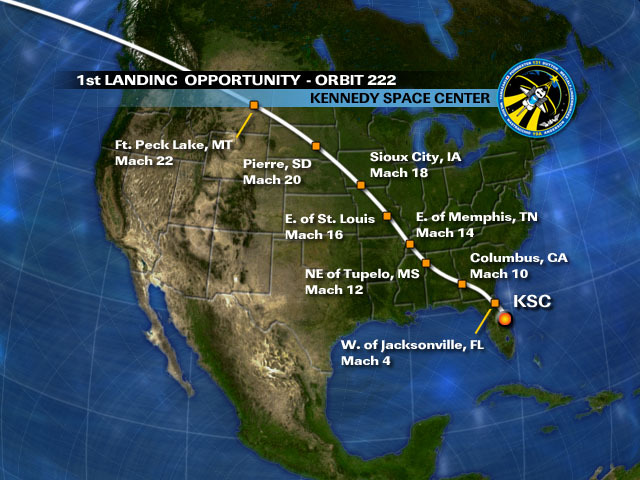 It looks like the shuttle will be flying over southeast Missouri and northeast Arkansas. Note the speeds what which the shuttle will be gliding while passing overhead. What does all this mean? Don't be surprised to hear a boom or two Monday morning if the shuttle lands. It will probably create a sonic boom or two as it passes over. My best guess is that the shuttle could be flying over southeast Missouri as early as 6:50am to as late as 7:30am. Do you know if parts of western Kentucky would be able to see or hear anything from the shuttle landing?